At a time when startups are burgeoning and the nation’s economy depends on the actions of the private sector, the Chamber of Young Lankan Entrepreneurs (COYLE) has been able to break from tradition and through new and improved products and services serves to generate new markets, create jobs and drive the economy. The COYLE membership is made up of more than 120 entrepreneurs who, through their astute leadership, operate in global, regional, national and local spheres, connecting and maximising opportunities across them. Contributing over Rs. 600 billion per annum to the economy of Sri Lanka, these members have a youthful energy and a foresight to future trends that enable them to stay ahead, informed and focused to operate successfully. For the past four years, COYLE has brought together panellists, carefully selected from this membership to speak about, and share their successes and challenges and how they have leveraged these qualities to become successful companies. 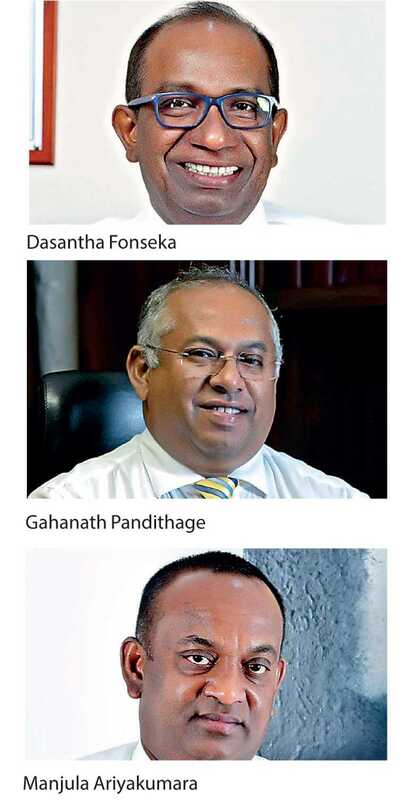 Once again this year, following the theme titled “I AM”, the COYLE Leadership Forum will showcase three of their enterprising entrepreneurs: Dasantha Fonseka, Chairman Vision Care, Manjula Ariyakumara, Managing Director, Three Sinha, and Gahanath Pandithage, Group CEO, DIMO who will share their stories and insights, openly and candidly. This year’s keynote speaker is former South African Test and One day international cricketer Jonty Rhodes. Rhodes will speak on his transition from playing cricket on the international arena to creating opportunities in the business field and beyond. The forum is moderated by Peter D’Almeida who himself as a notable public speaker has interesting takes on education, business and technology. Adding value to the younger audience who come to learn through inspiration, this year’s panellists will be offering paid internships to a certain number of interested members of the audience to work and learn the art of entrepreneurship under these maestros. The Forum’s principle sponsor Sampath Bank has once again come forward to support this event because of its reputation for supporting local entrepreneurs. Event sponsors include Dialog, EWIS, CBL, Capital Trust, PromoWatch and Alpex. Associate partners include Photo Technica, Papyrus, Brief and Screenline. Travel partner is Jetwing and media partners include Sunday Times, DailyFT and Daily Mirror, RedFM and ART TV. The Chamber of Young Lankan Entrepreneurs (COYLE) is an organisation that reflects a new way of thinking as well as a youthful energy that is much needed for a dynamic private sector. While keeping true Sri Lankan value, COYLE has staunchly safeguarded the interest of the local entrepreneurs of Sri Lanka and acts as link between the local entrepreneurs and the ruling government. Forum will be held at the Grand Ballroom Colombo Hilton on 27 September. The event will start at 6 p.m. followed by networking and cocktails. For further details, please contact the COYLE Secretariat on 0112 883560 or 011 7538615. Tickets can also be purchased through www.tickets.lk.